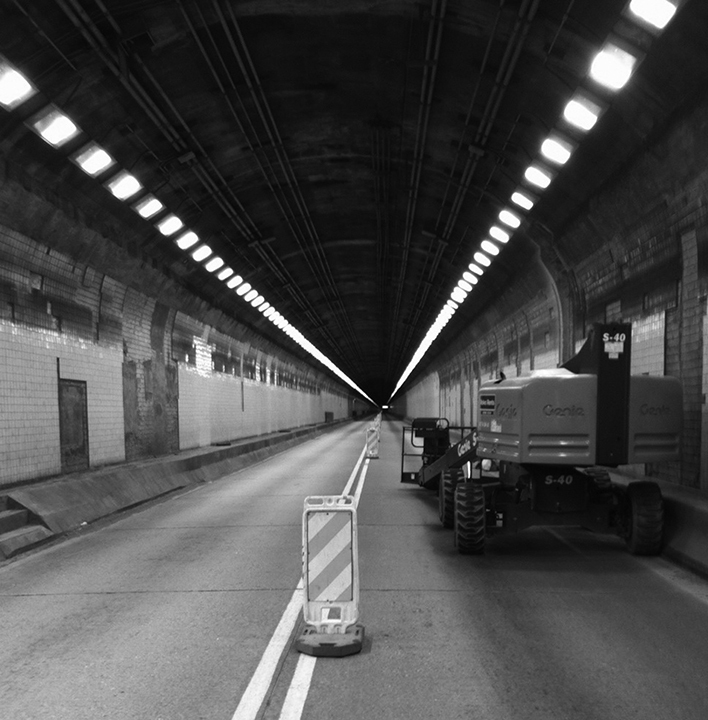 Sargent Electric Company has worked with local contractors and the Pennsylvania Department of Transportation to perform significant upgrades and modifications to the existing operating systems at the Squirrel Hill Tunnel. 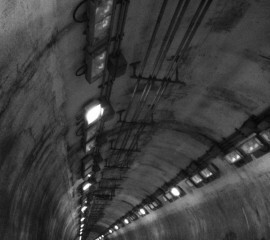 Nearly 1,300 new high-pressure sodium tunnel luminaries were installed to replace the aging fluorescent lighting system. The new lighting system resides at a higher elevation made possible by the removal of the existing tunnel ceiling. This increased elevation allows for improved lighting photometrics. The existing power distribution was replaced with approximately 115,000’ of GRC exposed conduit, 850,000’ of new LSZH and fire-rated electrical cable, 750 custom fabricated stainless steel junction boxes, 6,000 stainless steel raceway supports and 28,000 stainless steel undercut anchoring systems. 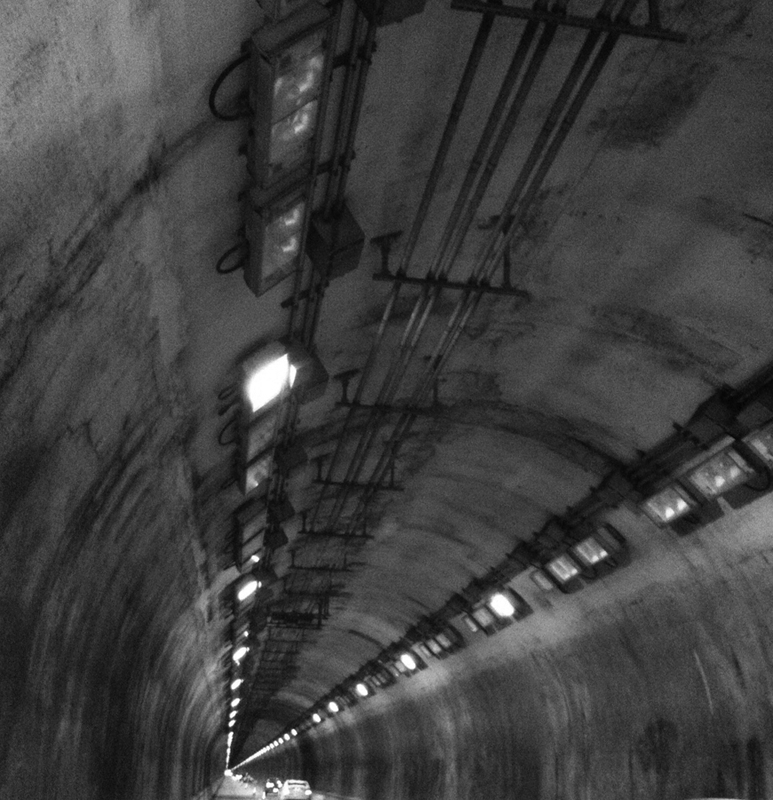 A fiber optic system was installed to support a new state-of-the-art Tunnel Control System (TCS) which serves as a means to monitor and operate all of the facilities including lighting, ventilation, communication and emergency power. Sargent Electric Company tested and fully integrated the new systems. New temperature monitors and carbon monoxide detectors replace the existing and aging life safety equipment. These devices were calibrated and integrated into the new TCS. Sargent Electric Company was also responsible for the design, implementation and integration of new operating software allowing the TCS to function as a cohesive whole.